Meredith Way Morris began her “art career” in Savannah, Georgia when, as a child, she won the school poster painting contest. After that she graduated to drawing horses on everything she could find! Her interest in art was always there but, not believing she was talented enough, she didn’t pursue it seriously until later in life. Meredith had a special affinity for photography and charcoal work. While taking art history, drawing, design and photography courses off and on over the years, as well as owning her own desktop publishing business, she shied away from painting, although it was something she dreamed of doing. Finally, in 2012 Meredith began to try oil painting, under the tutelage of veteran, award winning painter Howard Cohen. 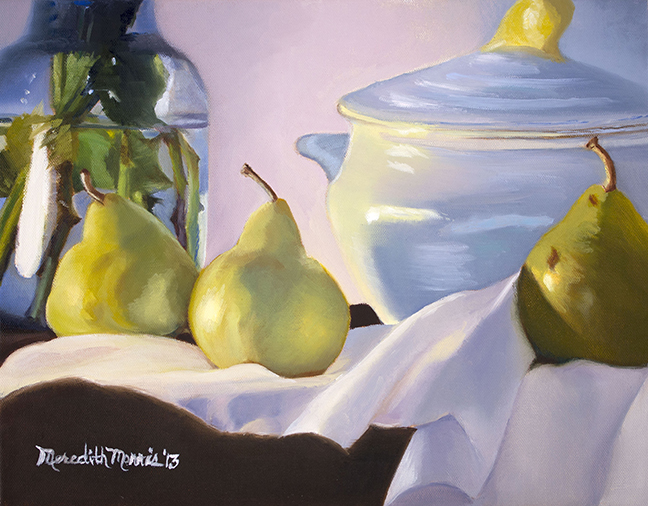 Meredith was juried into the Annual Members Show at the Yellow Barn in 2014. 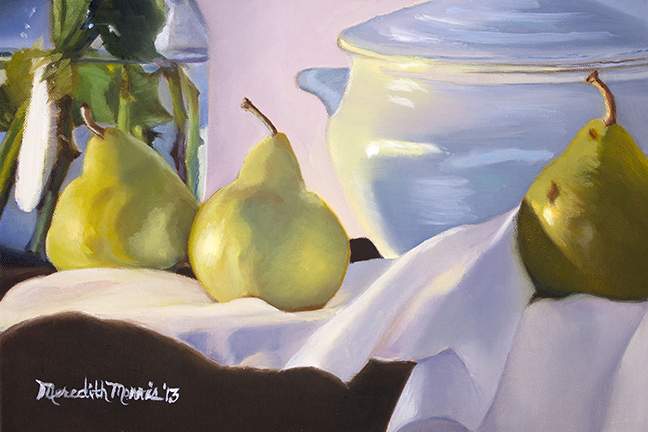 She has shown her work at the Glen Echo Labor Day Show as well as the Art Gallery of Potomac. Her work is in private collections in Maryland and Virginia. She has studied under local artists Howard Cohen, Martha Spak, Walt Bartman, Sarah Linda Poly & Glen Kessler. Meredith lives on a farm in Darnestown with her husband and a small menagerie of animals including cows, chickens, cats, dogs, and a horse.